Tomasha offers a wide range of fine quality Mix Ringtones for your mobile phone. Don't worry; our content is compatible with all popular phone models including Samsung Sony Ericsson, Motorola, and Nokia. 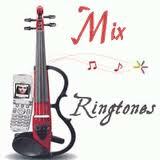 Our wide range of Mix Ringtones selection is constantly being updated with exciting brand new releases. Now you can personalize your mobile phone with hundreds of currently available Mix Ringtones for free! Moreover, you can also make new friends, send them sms and e-cards and much more! Just brows through our extensive inventory and download your favorite Mix Ringtones.